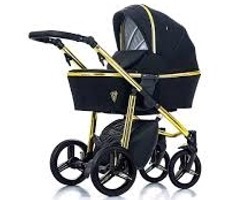 The stylish Gold Venicci travel system includes a chassis, reversible facing reclining pushchair seat unit, large carrycot, car seat and accessories, offering you and your baby, style, functionality and luxurious comfort as your little one grows. 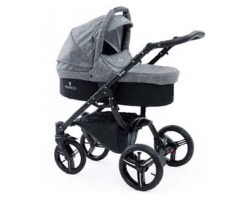 The elegant special edition Venicci travel system combines versatility, elegance and contemporary style to bring you a pram and pushchair designed to last over the years. 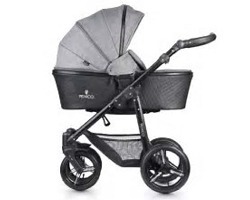 This package includes special edition Black Chassis, Quilted Leatherette carrycot with advanced ventilation, seat unit, car seat, bumper bar, seat apron, mosquito net, changing bag, raincover, and cup holder. 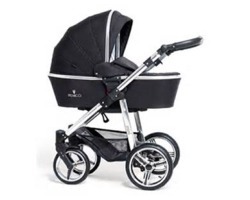 The beautifully stylish 3-in-1 Venicci travel system includes a chassis, pushchair seat unit, carrycot, car seat and accessories, offering you and your baby style, functionality and luxurious comfort over the years.